21.07.2017 – 2016/20144 – “An Apparatus for Production of Microalgae Containing Microbial Fertilizer” titled national utility patent has been registered. 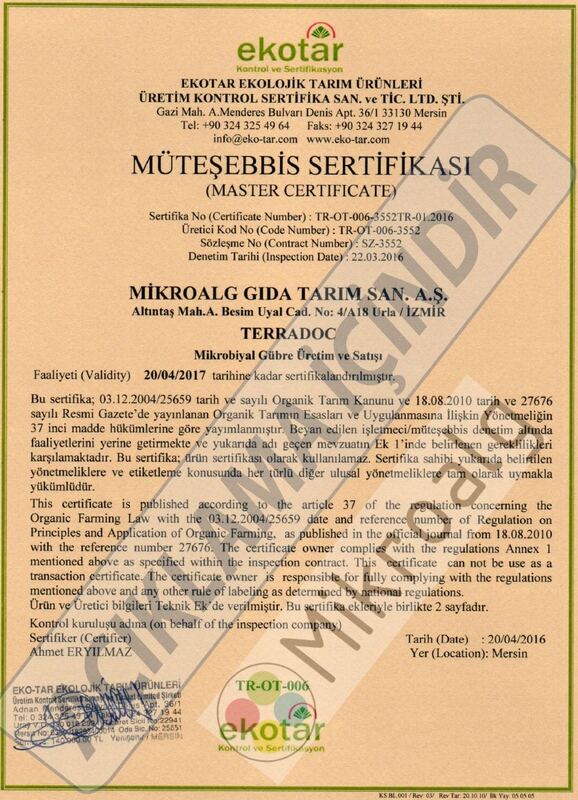 20.04.2016 – TerraDoc Biofertilizer is certified for organic agriculture. 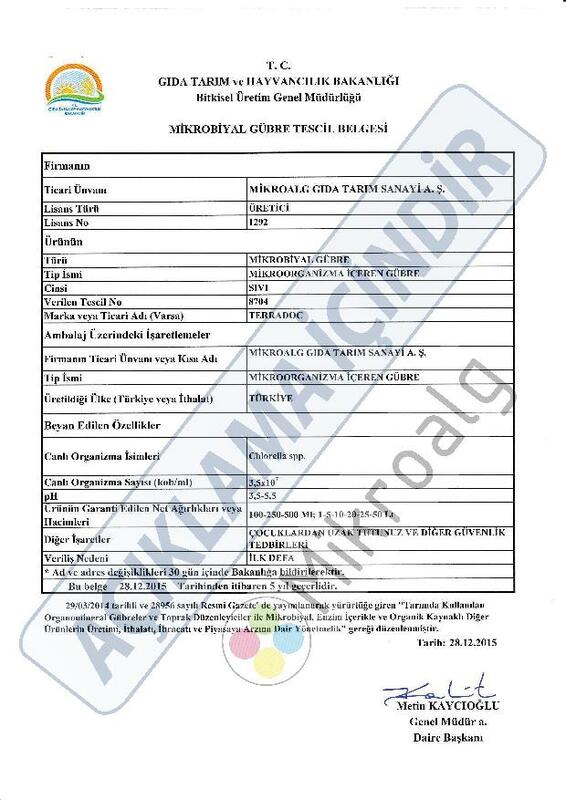 16.11.2015 – MikroAlg Inc. logo is a registered trademark. 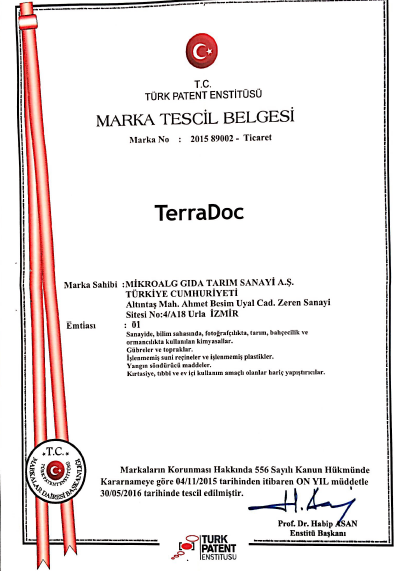 04.11.2015 – TerraDoc brand is a registered trademark. 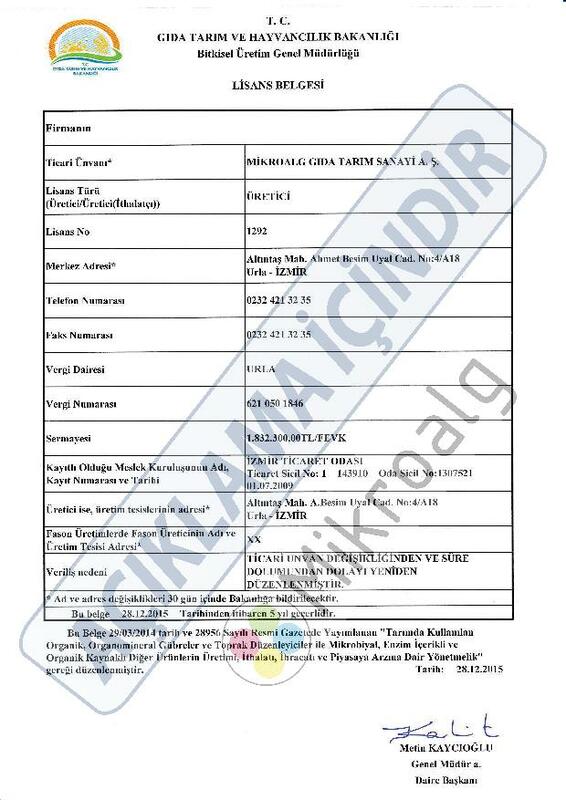 28.12.2015 – Novel Biofertilizer TerraDoc® has been approved and licenced by Turkish Minitsry of Food & Agriculture Production Permit, Licence and Registration. 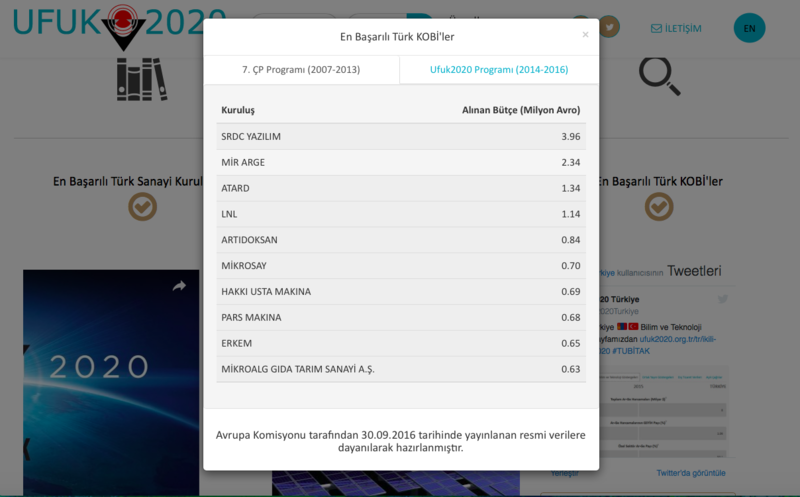 29.04.2015 – TerraDoc is tested and approved by Food Administration Unit of Turkish Ministry of Food & Agriculture. 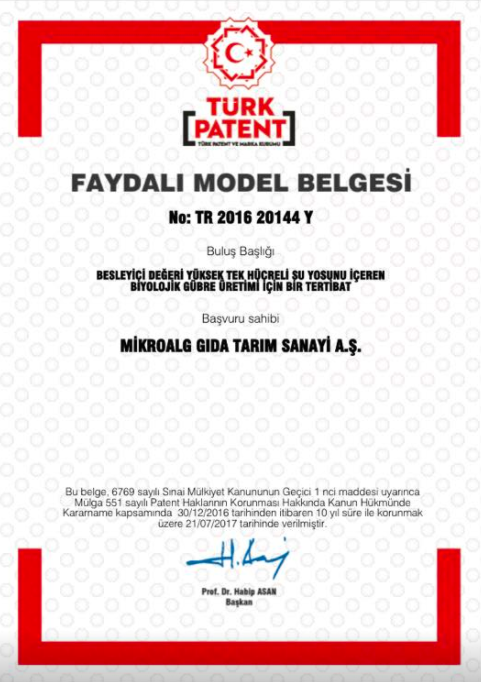 01.01.2015 – MikroAlg Inc. has started its R&D project which aims to produce biofuels from microalgae, supported by Tübitak 1507 Program. ©-2019 Microalgae Food Agriculture Industry Joint Stock Company . All rights reserved.